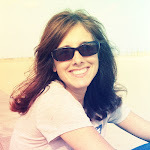 Welcome to the Gossamer Blue Inspiration blog hop! 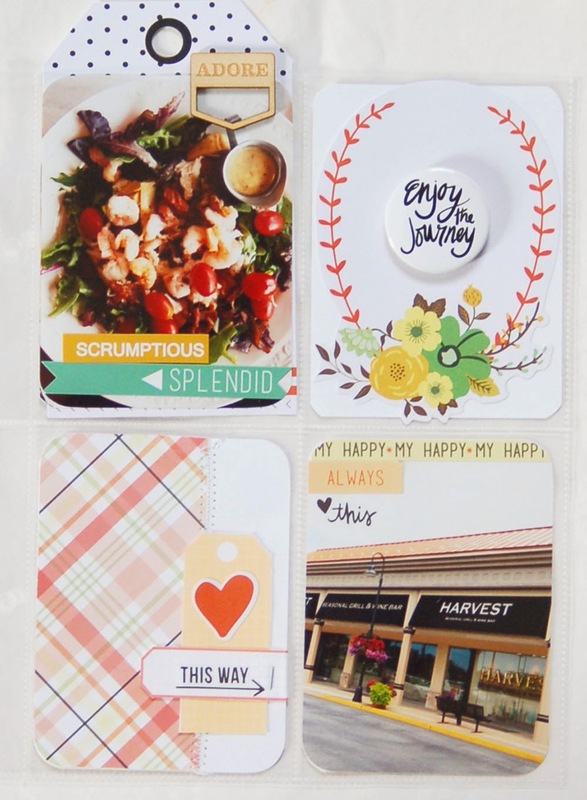 We thought it would be a fun idea to share some projects with you, now that the October kits are arriving at your doorstep. Thanks for stopping by! I have two brand new projects to share today. 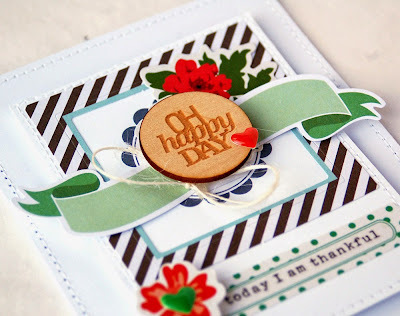 The first is a card that I made with the October kits. I used supplies from the Main Kit and the Life's Pages Kit on here. 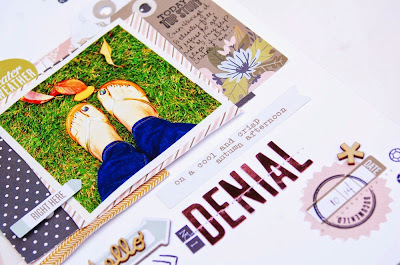 I love to use Life's Pages cards on my card fronts and chose a white one with a scalloped circle as my starting point here. I knew it would be perfect to layer elements onto. I added a die cut frame, the flower die cuts, the banner die cut and the wood piece. I love the pops of red and black on the white. Using foam adhesive on the back of the LP card added for more dimension, as well. 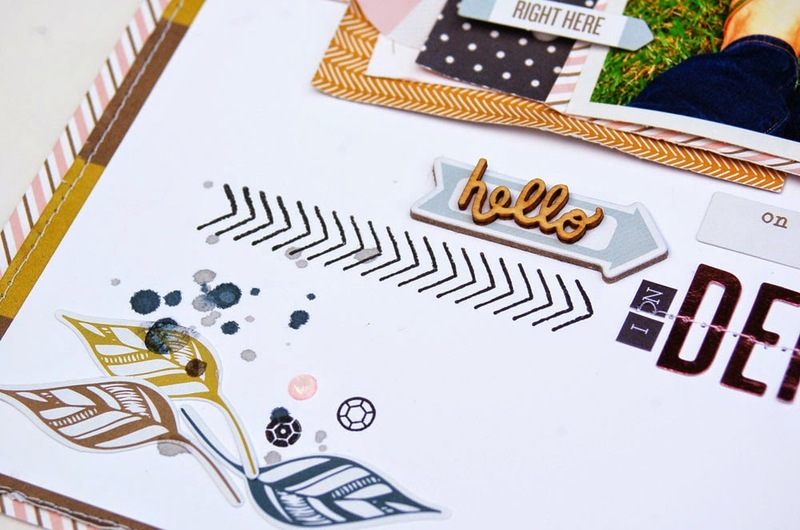 My second project today is a layout that I made using the gorgeous new Gramercy Road line by Gossamer Blue. I'm so in love with all three of the new collections, but this is my favorite. It's perfect for Autumn, but it isn't themed, so it can be used for so many things! 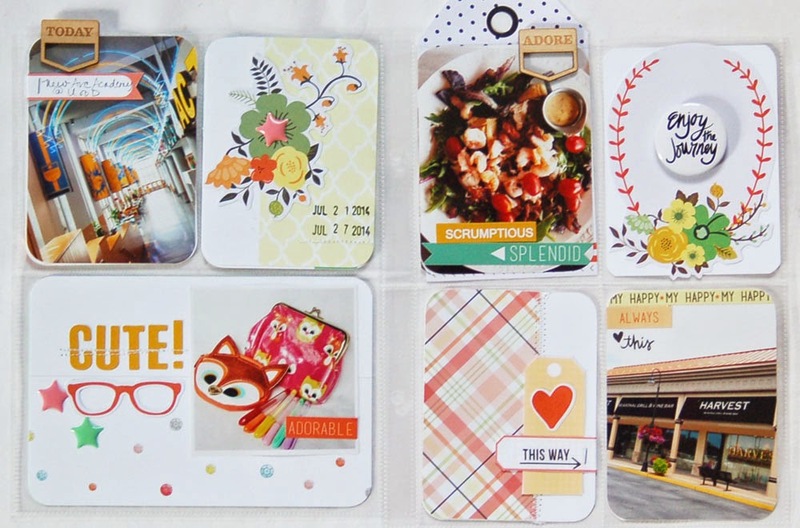 I love so may of the papers so I cut a variety of them into squares and layered them behind the photo along with a few of the die cuts and tags. 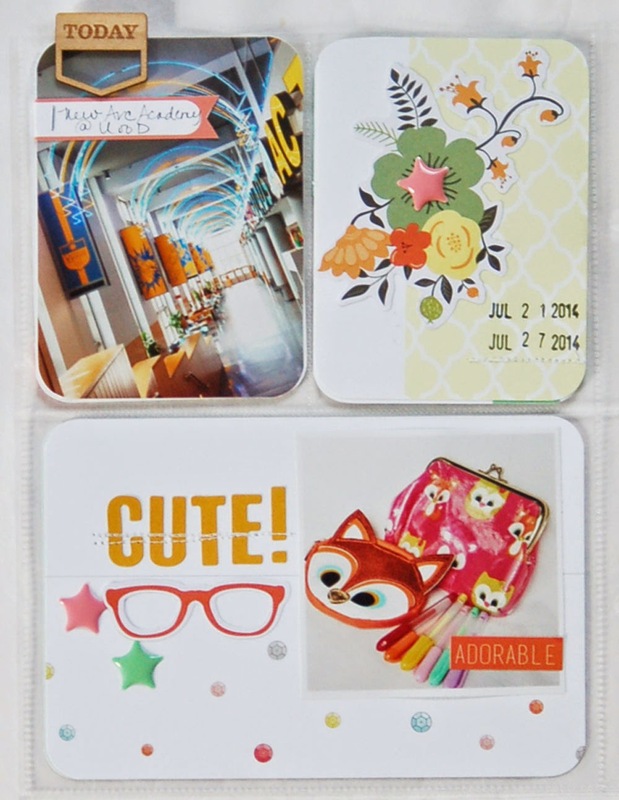 I love the stamp set that coordinates with the kit and used it in several places. Here you can see the cute 'documented' circle. And here is the long arrow. And see those sequins?? How fun are they? I think they will be getting a LOT of use. So will those beautiful die cut leaves. Swoon! So, thanks for stopping by. There is a ton of inspiration on the hop, you're in for a treat. Here is the list of participants. If you are coming here from the GB blog, you'll be heading over to Beshka next. Happy Hopping! It's October 1st and you know what that means! Gossamer Blue kits are now on sale. You definitely don't want to miss out on the October kits. There are a wonderful mix of Teresa Collins, My Mind's Eye and Chickaniddy goodies. Additionally, there are so many amazing exclusives this month. 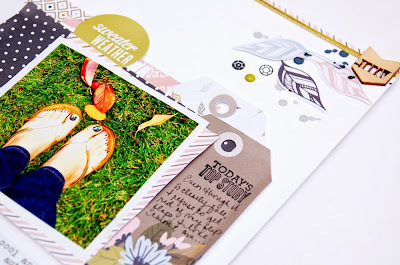 The cards in the Life's Pages kits are my favorites EVER! Traci outdid herself. This first spread doesn't have too many photos. It was a sad week for our family. Ryan lost a friend, suddenly, to a brain aneurysm. 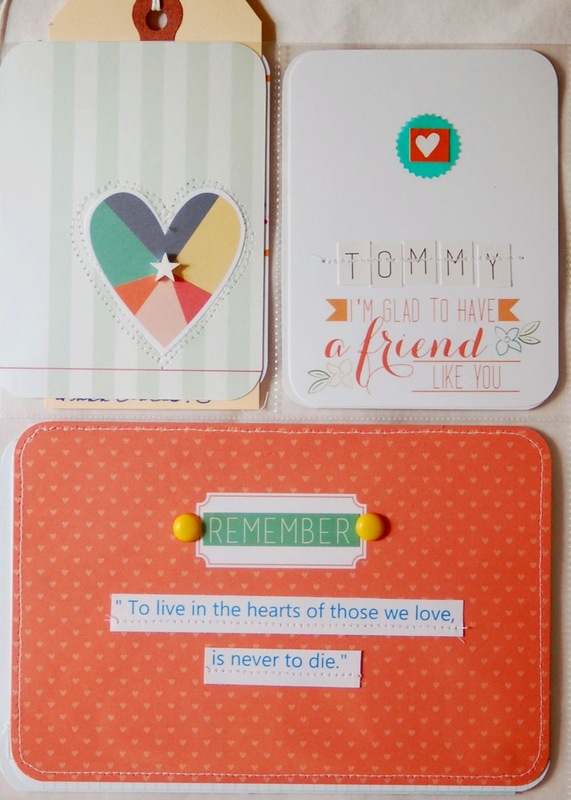 I devoted the left hand page to Tommy and added a lot of journaling under the cards. On this page, I focused on Ryan's new tooth. He'd broken his front one and we had it fixed this week. The 'I Like Your Face' card was perfect for his before and after photo. 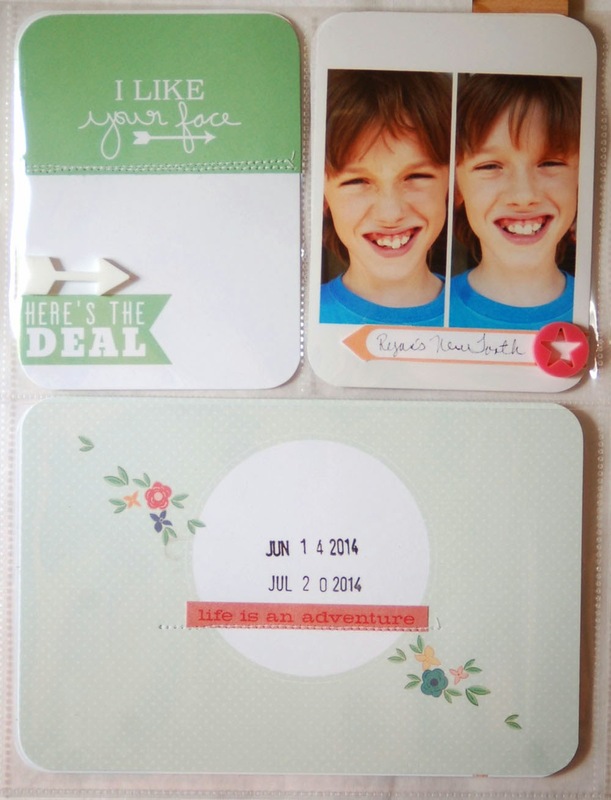 Both of the above projects were made with the main kit only, along with the printables. This next project used a mix of kits. I just love the floral die cuts and the cute Chickaniddy enamel stars. 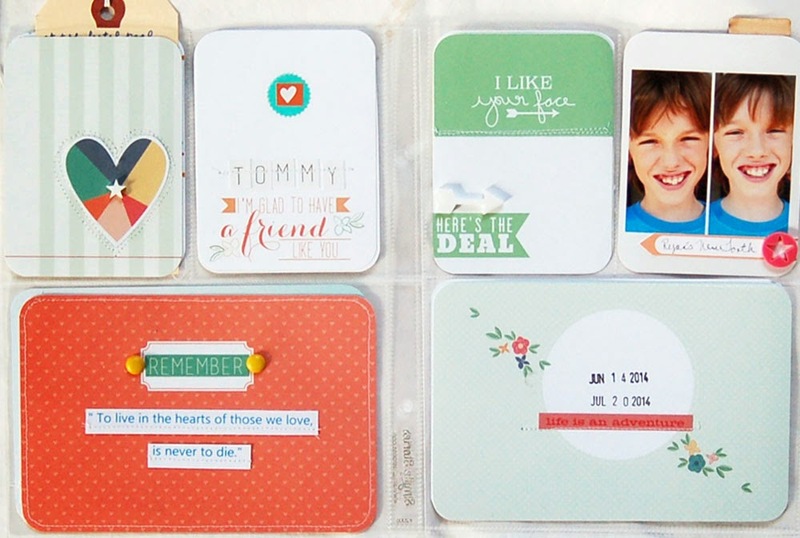 So, be sure to head over to Gossamer Blue and check out the kits. They are bound to go quickly! You won't be disappointed.